The USOM Assotiation unites artists of different ages, with different artistic education, views, genres of art and art techniques. We all share the love for Ukraine, its culture and the relentless desire to create. 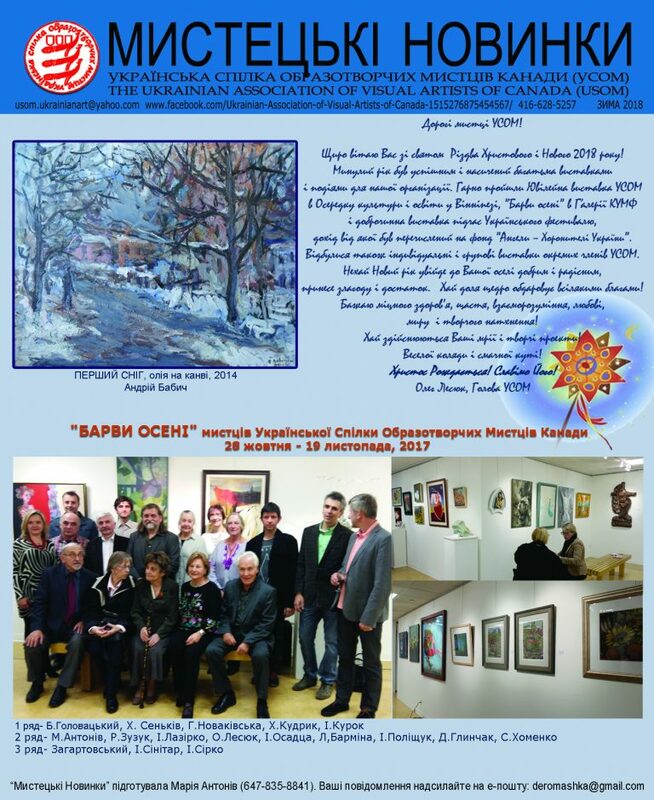 Members of UCOM are an active contributors to the development of Canadian culture and popularization of Ukrainian art, continuing and multiplying our traditions started by our predecessors. 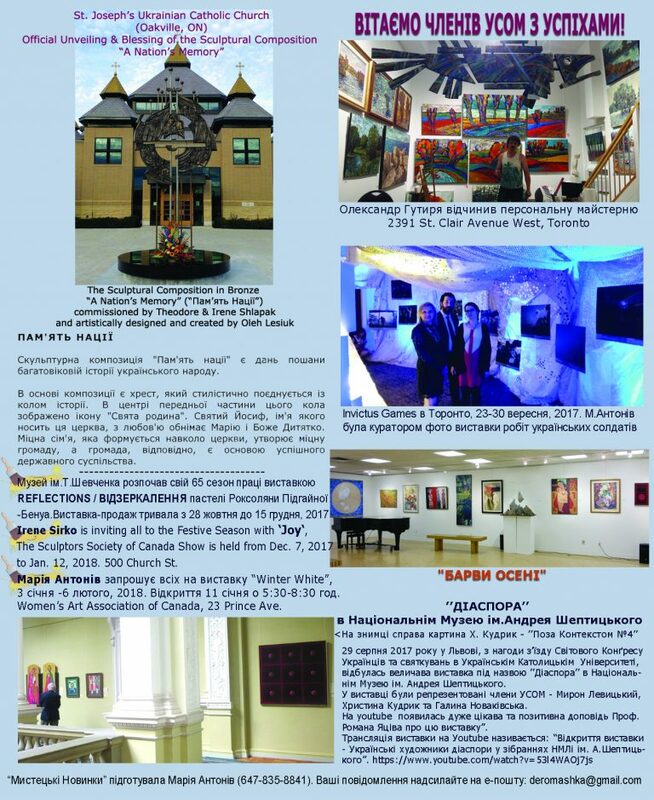 We are also regular participants in all-Canada and foreign exhibitions and creative projects.